Disney’s streaming service just got a whole lot bigger! Disney has been quietly assembling incredible content for their upcoming streaming service, which has been headlined by the return of Star Wars: The Clone Wars and the first ever live-action Star Wars show that Jon Favreau is in charge of. There’s also a Monsters, Inc. TV series in the works. As you can notice, there’s no mention of Marvel anywhere. That may very well could’ve been because of Marvel’s partnership with Netflix, but that may be coming to an end here very soon. Variety broke the news late yesterday that Disney has major plans to create limited TV series, otherwise known as miniseries, on major characters from the Marvel Cinematic Universe. The report makes sure to note that right now, shows including Loki and Scarlet Witch are currently in development. 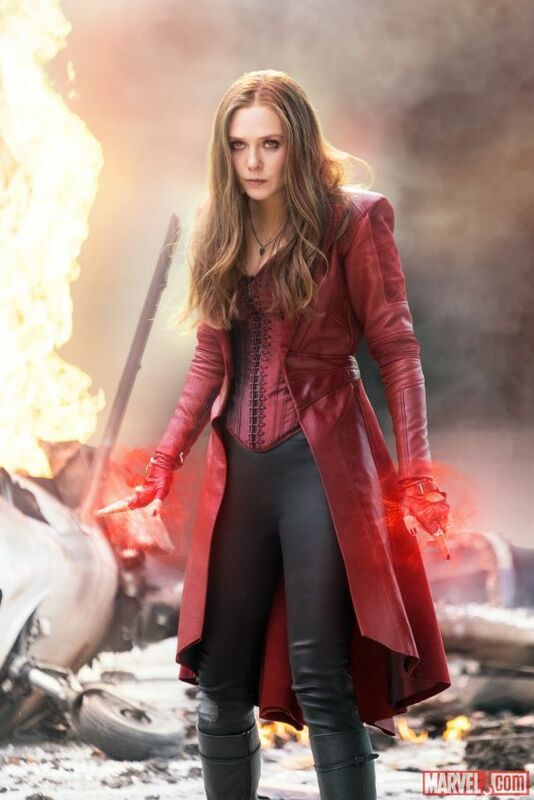 Tom Hiddleston and Elizabeth Olsen are expected to reprise their roles! Yep, you heard that right, these miniseries will feature the Hollywood names that play them in the big budget films each year. No other character series were announced, but it’s expected that these shows will focus on characters who have yet to be given or won’t ever be given a standalone film. No other major details have been revealed yet, but it’s expected that these shows will be around six to eight episodes with both Disney and Marvel Studios investing a heavy budget into each series, enough that it will rival the quality of product the MCU puts on the big screen. If you caught that, you heard it right. These shows will be produced by Marvel Studios and not the Marvel TV division, which is in charge of Agents of S.H.I.E.L.D. and the Marvel Netflix shows. This is a huge development as Kevin Feige will be taking a “hands-on” role in the development process. A few years saw a bit of a shift in the Marvel regime. It resulted in the Marvel “creative committee” being dismantled, splitting up the Film and TV divisions. Feige now reports directly to Disney’s Alan Horn, with Jeph Loeb and Ike Perlmutter running the TV side. After the split, the MCU saw films like Thor: Ragnarok and Black Panther released. This is an absolutely fantastic idea. I’ll be honest, when I first saw this news scroll across my screen, I became skeptical almost right away. But as I read into the details, the one thing that got me hooked was “miniseries.” I would not support this idea if they were full-length shows, but luckily they aren’t. This officially washes away any thought of them taking away from the films to allow other characters to shine. Being only six to eight episodes now allows them to do exactly that without taking away from the overall story and taking characters out of the picture for these shows. Now those smaller characters who the MCU doesn’t have time for standalone movies will now get the chance to have a personal story in a six to eight episode arc. And I can’t freaking wait. What do you think of this news? Is this a good idea? Which characters do you want to see featured in this miniseries? Is this too much? Do you think it’ll take away from the movies? With nothing being “officially” confirmed yet, lookout for many more details of this in the coming weeks as Disney begins to reveal the official details for their streaming service that is set to debut next year.